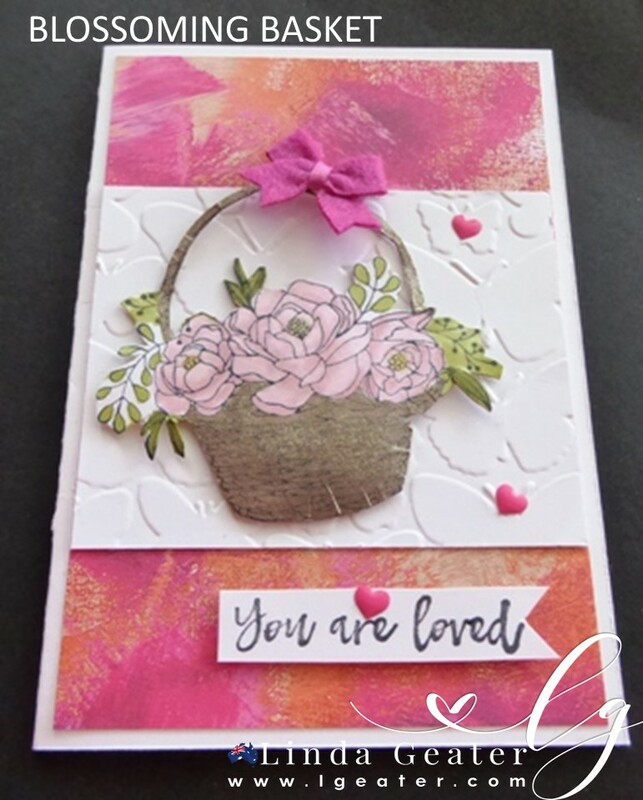 Today I have a card for you using the Blossoming Basket stamp set which is one of the items available during Sale-a-bration. Sale-a-bration finishes at the end of this month, so if you would like to purchase this item; then don’t delay. At the end of this post you can see all the items used to make this card. Just click on any or all of the items you wish to purchase and it will take you to my online store. I started with whisper white as the card base, and adhered some Painted with Love designer series paper to it. Using the fluttering embossing folder (butterflies) I used that as the background before adding the basket. 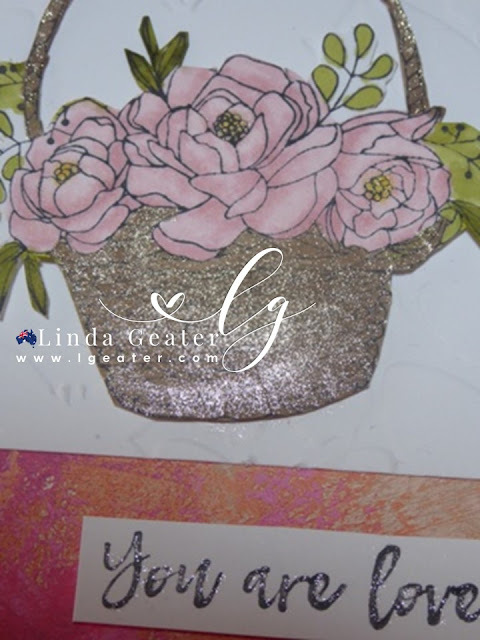 I stamped the basket using the Stampin’ Blends. 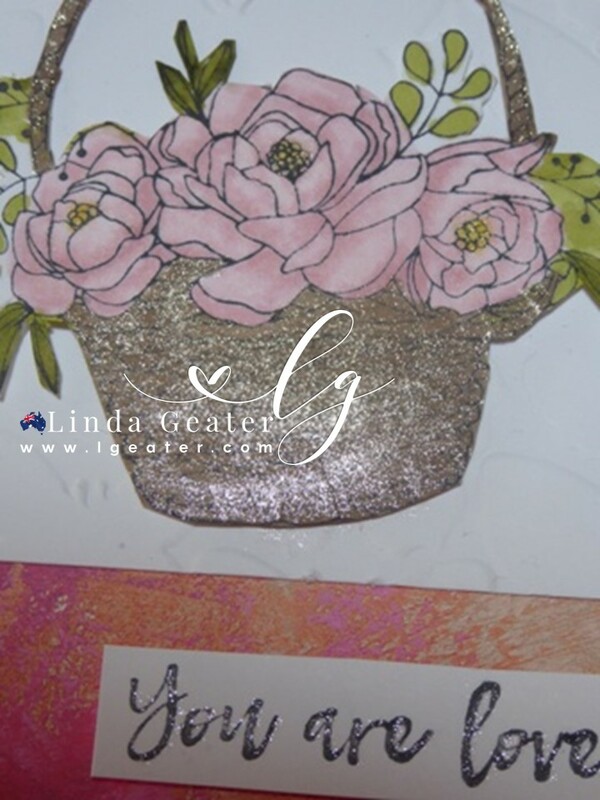 Basket is coloured in Crumb Cake, flowers Pink Pirouette and leaves in Old Olive. Following a bit of fussy cutting, I adhered it to the embossing folder. Adding a little bow to the handle and a few hearts it was almost complete. The final touch was adding gold Wink of Stella to the basket and sentiment, for that little bit of sparkle. All the products used to make this card are listed below.